Despite my dislike of joining a series anywhere but at the start, I seem to be picking up a lot of books at this second book stage. What I will say about Kill Me Twice, is that if you hadn't told me it was book 2 in the series, I really wouldn't have known...until I looked up what else the author had written to add it to my wish list. So in my humble opinion, Kill Me Twice can definitely be read as a standalone novel and a VERY enjoyable one at that. It gives me chills just writing about the start of the book, as it has every ingredient you need for a gripping thriller. Morgan feels somebody watching her and her daughter, Lissa, as they take a walk along the coast. As Morgan lies reeling from a blow to the back of her head, she hears the 'clink-rasp' of a lighter and smells the burning of human hair. Morgan found herself completely powerless to defend her daughter from this vicious attack. Morgan wrote a book about miscarriages of justice, so she manages to find something to take her mind off this mindless attack: the case of Anjelica Fry. Anjelica was convicted of killing her boyfriend, Karl Savage, in an arson attack. So why does Morgan think she is innocent? Some things don't add up and then when Morgan sees Karl watching her house, she knows for sure that Anjelica has been wrongly imprisoned. What she doesn't know is how Karl managed to fake his own death and why he wanted Anjelica to be sent down for it. 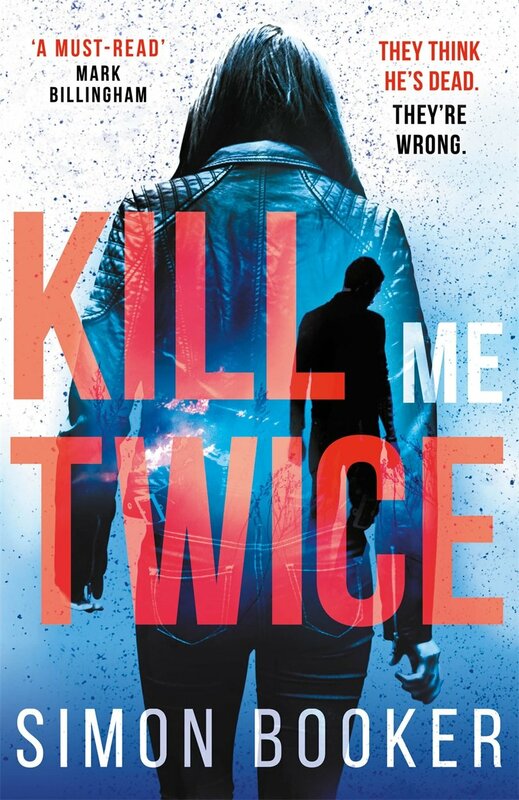 What follows is a story so fast-paced and gripping, that makes Kill Me Twice a thriller of the highest calibre. There are so many little twists and surprises as we delve into Karl's life and the lives of the women he has loved and destroyed - he's Savage by name and savage by nature. Morgan is a superb character - she is like a dog with a bone once she gets something into her head. Her relationship with her daughter, Lissa, was interesting too as they don't seem that close at the start but Morgan is clearly there for Lissa when the chips are down. One slight criticism I have, and it doesn't take anything at all away from the 5 stars I have awarded this book, is the overuse of the phrase 'blowing out his/her cheeks'. It just seemed to appear a lot and once I noticed it, it seemed to pop up a lot more! Kill Me Twice really is a spectacular book, one that has me immediately adding the first book, Without Trace, to my cart as opposed to just my wishlist, and keeping a VERY keen eye out for book number 3. There are some vivid and slightly uncomfortable scenes as Karl shows his true colours, but I couldn't have torn my eyes away from the page if my life depended on it. A superb book, one that is very hard to put down and had me gripped from start to finish. I wholeheartedly recommend this one! Many thanks, Michelle. So glad you liked KILL ME TWICE. Hope you enjoy WITHOUT TRACE too.